This week’s subject is Amanda. If you’ve been here for service you know her! She was one of the best service advisors, and she moved on up to Customer Experience Manager, which suits her quite well because she LOVES our customers! Welcome to our website and I hope to meet you at our dealership! I worked in our Service Department for over 7 years where I had the opportunity to meet a lot of people and learn customer service skills. In 2013, I moved into the Customer Care Specialist, and I get to use the customer service skills I learned in our Service Department every day. 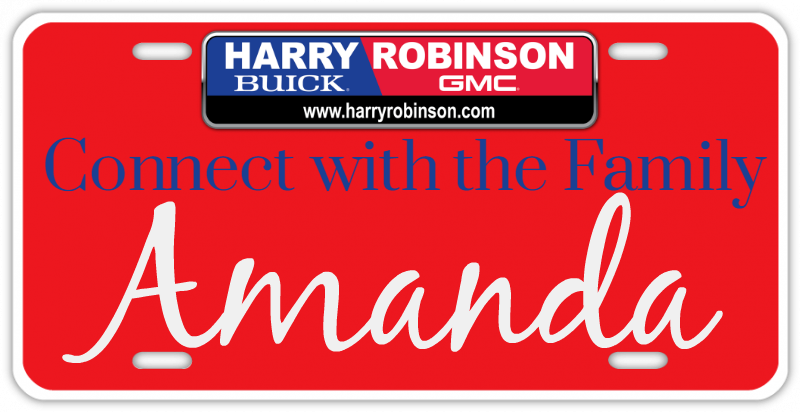 My job involves contacting customers to ensure they are Completely Satisfied with their experience, contacting customers we haven’t seen in a while to make sure everything is ok with their vehicle and notifying customers when there is recall from General Motors. It’s my goal to keep a customer for a lifetime and earn their family’s business too. I graduated from Southside High School, Go Rebels! I enjoy volunteering in my community and have been an active member of the Junior League of Fort Smith since 2005. When I’m not working I enjoy spending time with my family, riding horses, camping, and going to the lake. What do you do exactly? Customer Experience Manager/ The term ‘Customer Experience Management’ represents the discipline, methodology and/or process used to comprehensively manage a customer’s cross-channel exposure, interaction and transaction with a company, product, brand or service.I follow-up with our new car customers after vehicle purchase, follow up with the service customers to be sure warranty work went well, I like to make sure our customers are completely Satisfied. This is a great feeling to know that your customers are happy or if there is something you can do to help them through the service process. 3. What’s the biggest lesson you’ve learned working at HRBG? My biggest lesson I have learned working here is not every one is always happy but with a smile and assistance you can usually take great care of them. 4. What’s a big bucket list item for you? I would love to go to Hawaii it is so beautiful!! –she skipped this one…I don’t know why. Harry’s her daddy! Incase you couldn’t tell by the way her name is Amanda Robinson Mendenhall. 🙂 Amanda also loves music concerts, camping, riding horses, watching ballgames with her husband, spending time with family and friends. *She has such a cute little boy. I just love it when he comes to visit!